[PDF] Historical Dictionary of Belgium (Historical Dictionaries of Europe) | Free eBooks Download - EBOOKEE! Description: In 1830, the inhabitants of the southern part of the United Kingdom of the Netherlands revolted against King William I. The National Congress then declared independence and proclaimed the installation of a parliamentary monarchy, and thus, the new country of Belgium was created. Belgium's vibrant culture and society have produced such artists as Peter Paul Rubens, Jan Van Eyck, and Antoon Van Dijk, as well as the influential scientists Gerardus Mercator and Andreus Vesalius. Brussels, the country's capital city, also houses the headquarters of the European Union and the North Atlantic Treaty Organization. 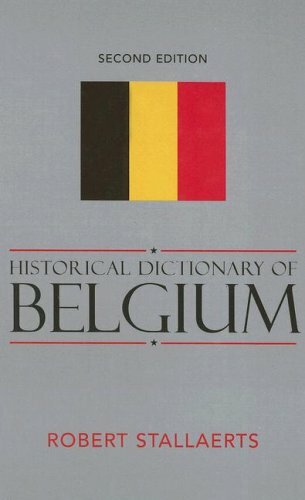 This second edition of the Historical Dictionary of Belgium relates the history of this country through a detailed chronology, an introduction, appendixes, a bibliography, and cross-referenced dictionary entries on some of the more significant persons, places, and events institutions and organizations and political, economic, social, cultural, and religious facets. No comments for "[PDF] Historical Dictionary of Belgium (Historical Dictionaries of Europe)".